Salafi terror organization ideologically affiliated with Al-Qaeda claims responsibility for firing Kassam rockets at Sderot. A Salafi terror organization ideologically affiliated with Al-Qaeda has claimed responsibility for firing three Kassam rockets at the city of Sderot on Sunday morning. The group, which calls itself Majlis Shura Al-Mujahidin, said in an official statement that the reasons it fired the rockets are a military ceremony held at the Cave of the Patriarchs, the continued “Judaization” of the Al-Aqsa Mosque and the persecution of Salafi activists in Gaza. The statement, translated by Arab affairs expert Dali Halevi, also accused Palestinian Authority-based organizations of failing to respond to the Jews’ violation of the holy places of Islam. Halevi noted that Majlis Shura Al-Mujahidin operates both in Gaza as well as the Sinai Peninsula. The group claimed responsibility for several recent attacks that were carried out against soldiers and civilians in the Sinai. One of the three Kassam rockets that were fired at Sderot damaged a building in the industrial area near the city. One person was lightly wounded and a second was treated for shock. 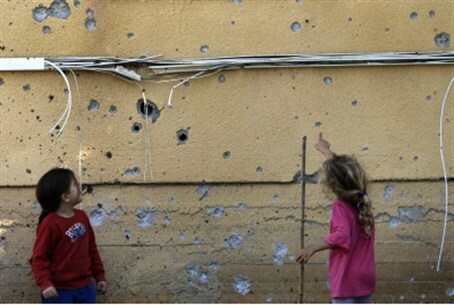 On Sunday evening, terrorists in Gaza fired a Kassam-type short range rocket. No one was hurt and no damage was reported. The rocket struck the Eshkol region between Be’er Sheva and Ashkelon.